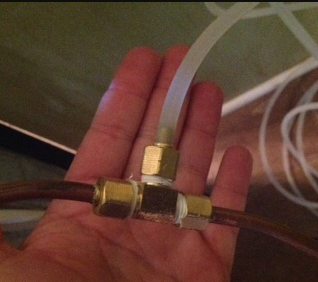 Connect Keurig To a Water Line and Rig Your Reservoir Like a BOSS! 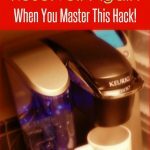 How To Connect Any Keurig To a Water Line! 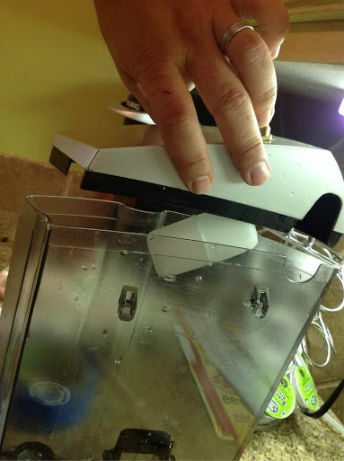 Have you ever wondered if there was a “better way” to refill your Keurig reservoir? Well, you CAN! Learn how to connect your Keurig brewer to a direct water line and enjoy hassle-free refills each and every time! 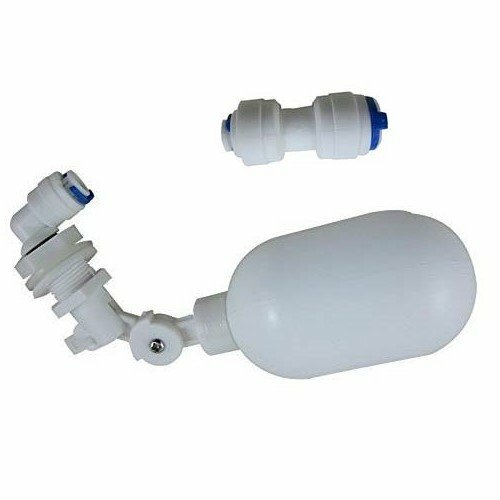 To me refilling something is no big deal….but maybe in some cases, it could make your life easier depending on your own situation. Maybe you use that thing more heavily needing to dispense hot water at odd times of day for food items, or maybe you’re someone who has some physical limitations (like arthritis, or wheelchair bound) and you want to kind of make it easier on yourself to get great coffee. Or perhaps the “Add Water” light coming on persistently (and sometimes reading falsely) is getting to be a pain in the you know what. Well, the good news is that some people are figuring this out and hacking the reservoir. 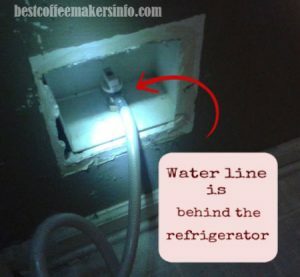 Can All Keurig Models Be Hooked Up To a Water Line? 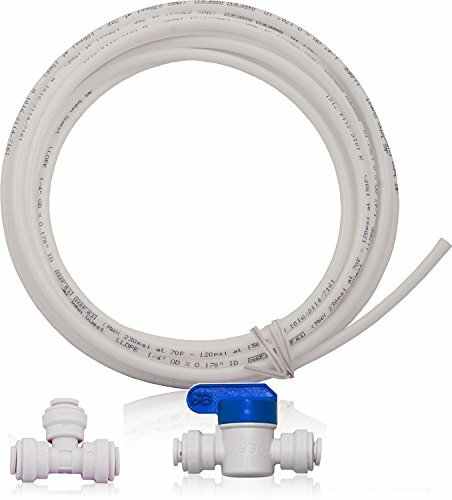 You don’t actually have to own the Keurig K150 or K155 with the direct plumbing line already established to make this work. The Classic, Elite and Platinum editions can be hacked with a water refill system too! Just abut all of them with the exception of the Mini or the Keurig K130 DeskPro, be plumbed. It does require a different set of tools than for the units mentioned earlier. Warning: There are two important caveats here: 1) This does take some legwork, and 2) This process may void the warranty on your Keurig. Now that I’ve established that, let’s lay it out there. 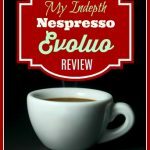 First I’m giving praise and credit to this post by a coffee drinker who has pulled this off like a real pro. A big thank-you to the author for giving me permission to use some of his photos here when I inquired 😊 Plagiarism is not cool (and dishonest) so I paraphrased the major points. First determine the place of the water hookup – Behind the refrigerator seems like the obvious choice, but there are other options. It will all depend on your situation. and whatever room you use the brewer the most. If you look behind your refrigerator you should see your water line easily.The average diameter for most home water lines is abut 1/4″ in diameter. First determine the place for the hole to go-it needs to be in a certain location so that the float valve is in the right place. I know this is tricky because Keurig reservoirs have that roundish-semicircular shape-so you may want to experiment with the valve placement and see how much it will move under the reservoir lid before you make your mark. When you have the designated spot, mark it on the outside with a piece of tape on the area and a Sharpie. Drill on the outside of the lid and to further protect your reservoir lid (it’s plastic and you have to be uber careful with drilling in plastic) place a piece of tape over the designated area. Tip: Use of a step bit will help minimize risk of the reservoir lid cracking by making the drilling process more gradual. 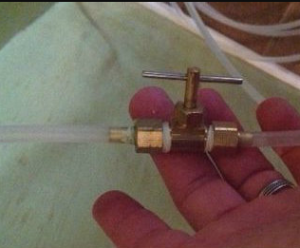 Now take your float valve and twist off the ring nut (it’s close to the top) and thread it over the poly tubing. Thread the neck of the float valve into the hole you made in the reservoir lid and check for movement. The neck part that is showing on the outside, should be secured with the ring nut. Sandpaper the ends of your tubing…Thread one end into the ring nut end going into the Keurig and push the compression nut over it. 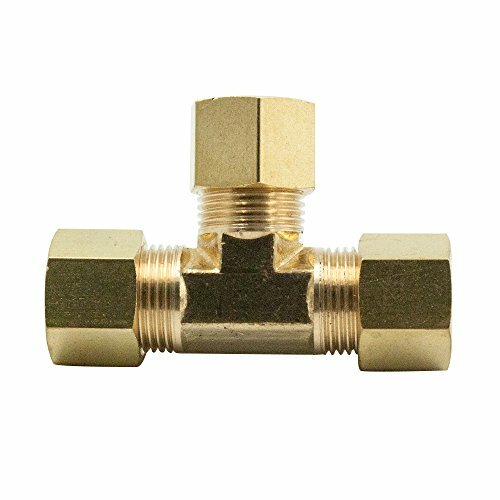 Connect this length of tubing into the brass shutoff fitting and tighten. 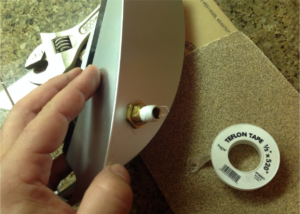 Wrap a few rounds of teflon tape around the area where the tube meets the nut to secure it against leaks. You’re then going to insert the opposite end of the tubing into the three way connector fitting. Again push in the tubing until it stops and secure with teflon tape. Thread the other tubing piece into the water line and the other end into the three way fitting. When everything is connected and secure you can turn the water back on and do a little checking of the fittings if necessary. Alright…Now to see if your work has passed the smell test there are several steps involved. Start brewing a cycle and check for the following: First off, there should be no leaks. 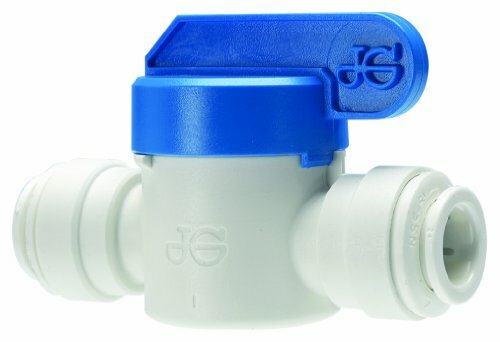 If you see water flowing into the tube but a slight trickle out, you may need to wrap the connector fittings with a little more teflon tape. Here is a video so you can see what this baby will look like when all is said and done! If so…Great!! Congratulations, you have successfully rigged your reservoir! At this point you should treat yourself to your favorite brand of coffee. You have earned it! Hey coffee lovers! It's easy to get misled by the various types of "K-Cup" brewers on the market today when you hear all about the bells and whistles without the "nitty gritty" as well. 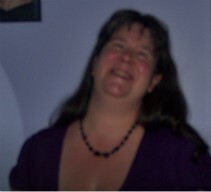 By in-depth research , testing and evaluating I hope to make your choice much clearer. No need to go around bouncing from site to site - I've got you covered! 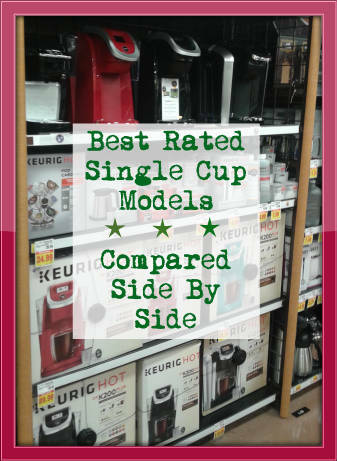 Best Coffee Maker For Travel-Top 5 Models To Hit the Road With! Keurig K475 vs K575: What’s the Difference? 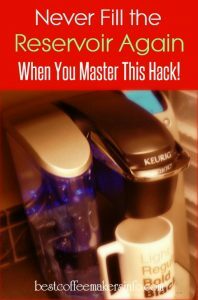 Learn How To Clean A Mini Keurig Brewer Like A Boss! 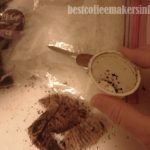 Check Out This Innovative Way to Recycle K-Cups! 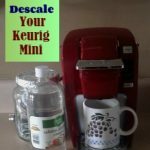 Ross Janes on Learn How To Descale a Keurig Without Vinegar! Stop Dreading The Ritual! Love To Sip is a participant in the Amazon Services LLC Associates Program, an affiliate advertising program designed to provide a means for sites to earn advertising fees by advertising and linking to amazon.com.